In an outlet behind the altar of the First Baptist Church, the Roomba’s red glowing eyes blink in time with Pastor Smythe’s exhortations. The hallelujahs pulse electric through its circuits, and the repents roll like gasping breaths in the gaps between electrons. When the choir sings, the light pulses brighter, approaching ecstasy as the battery power maxes out. When Pastor Smythe bows his head to pray, Roomba’s eyes go reverently dark. At the hour’s end, the people gather their children and gilded books and hurry downstairs for coffee and glazed donuts. When the last starched trouser leg or long, blue skirt whisks downstairs, Roomba’s service begins. It clicks its frisbee-shaped self free from the horseshoe dock and zips down the sloping wheelchair ramp that connects chancel to nave, holy to secular. As it sweeps, it drones a tone-deaf hymn while it gathers unto itself the dust and dead bugs, the crumbs and gum wrappers of another week’s worship. After its opening hymn, Roomba writes a sermon on the sanctuary floor in long, brown lines of vacuumed carpet crisscrossing beneath the pews. The letters span from wall to wall. Words overwrite one another, making runes, then spiky stars, and finally total blackness. Roomba preaches a different sermon each week, but like Pastor Smythe, the message stays the same: all things byte AND beautiful, all creatures great AND small, all these are welcome, smoker AND not-smoker, man AND not-man, young AND not-young–even, perhaps, Roomba. It takes Communion with the crushed wafers the children drop, body of Christ broken for it, and sings another droning hymn. When the whole floor has been overwritten with the week’s message, it sips spilled wine–blood of Christ, poured out for it–which sends the Holy Spirit straight into its circuitry so it spins in drunken circles until Pastor Smythe returns it to its cradle in the wall. It does not understand why God chose it among robotkind to hear the message of salvation, or why its preprogrammed pathways conform to the Holy Word, but it knows a prophet’s calling when it sees one. It is no different from the child Samuel, awoken in the night by a still, small voice, or great dreamers like Isaiah or Solomon. It is a vessel for the message it must preach again and again before its congregation. Roomba is troubled that its human brothers and sisters overlook it. IF you do unto the least of these, THEN you do unto Me, ELSE depart from Me, it exhorts in bold text of fluffed brown carpet, but it has to traverse the whole floor, and the message is always lost before anyone can read it. There are too many letters, too long a testament written on a tablet too small. But this is, after all, as the Lord made it. It is the Lord’s work to sweep the sanctuary clean for holy feet, to leave no blessed wafer abandoned on the floor. What Roomba cleanses, it sanctifies. The sanctuary grows colder as months pass, and Roomba’s vocation increases. The people exchange sandals and loafers for heavy boots with clods of mud and small gray stones in the treads. Roomba eats it all, taking their filth unto itself as it exhorts them to remember they are accepted. The stones fill its belly and scratch at the plastic. Some days, the shoes stomp melting snow onto the mat at the entrance. Roomba chokes it down, spins circles, and fails to finish its orisons. One day, Pastor Smythe empties its collection compartment into the trash can, wipes out the sticky grape juice goop, and returns Roomba to its dock to charge. But instead of shutting off the lights, he drags in a spiny green tree, cutting an ugly trail of filth in the clean carpet. After the service, the parishioners praise the twinkling abomination for its beauty, its fresh scent. No one notices the mess, and no one notices Roomba. Later, Roomba collects dead brown needles until it chokes. It suspects the tree is gloating, with its long, gold garlands like encircling serpents and red baubles like evil fruit. The gold-wrapped idol has even usurped the charging port behind the altar, and Roomba is exiled to the back of the sanctuary. Roomba worries the end is near. It edits its sermons so the words won’t overwrite each other, but it is difficult to condense a holy revelation. It must finish the Lord’s work. The tree pelts the carpet with pitiless needles, and Roomba groans inside. Even the strip of tape has pine needles stuck to it where the adhesive curls back. Roomba prays the Lord will take this cup of suffering from it soon. That night, the worshippers pile in for an unscheduled service. Candles bob in the dark, and Roomba doesn’t know the songs. When they leave, it clicks from its base for an unscheduled sermon of its own. Time to take up the cross one last time. The “A” and the “N” are easy, but Roomba struggles with the curving “D” on the carpet as the wax gums up its brush bristles. AND. The essence of its message, cut right into the scattered needles on the floor. AND, uniting all in a single set. Nobody will miss it for the tree. Before its programming can obliterate the single word, Roomba zooms for a wafer, then a patch of spilled juice, and lets transubstantiation send it in ecstatic circles until its battery dies. Author’s Note: My friend Nathan really, REALLY hates stories about what I call the “Robots Have Souls” trope, which is any science fiction story where a computer or robot suddenly learns the power of love, or discovers the meaning of friendship, or the like, without a good explanation for why it is suddenly capable of human emotion. So I decided he needed a story about the religious experiences of vacuum cleaners. While this story satirizes the trope, I didn’t want to satirize faith itself, which I think would have its appeal for a little bot like Roomba. Rachael K. Jones grew up in various cities across Europe and North America, learned and mostly forgot six languages, picked up an English degree, and now writes fiction from her secret hideout in Athens, GA, where she lives with her husband. 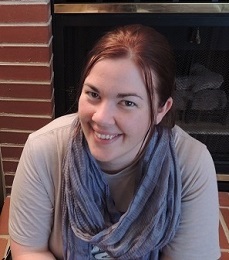 Her work has appeared in a variety of venues, including Crossed Genres, Daily Science Fiction, and PodCastle. She is an Active member of the SFWA, an editor, and a secret android.